If you haven’t participated in a Twitter chat yet, then you are missing out on something. 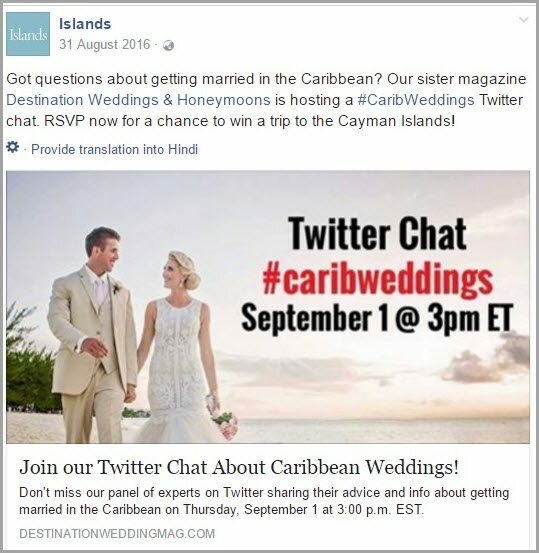 Twitter chats provide a remarkable opportunity for marketers to expand their social circle, increase their customer knowledge and create brand awareness at the same time. 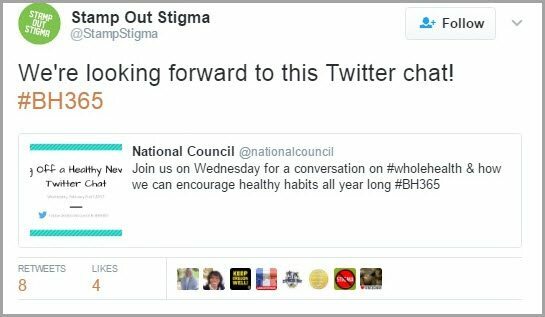 As you may already know, Twitter chats involve various participants talking about a common subject using a designated hashtag. Twitter chats are moderated by a host and take place for a specific time duration. With over 300 million active users, Twitter is certainly a force to be reckoned with. According to experts, by using Twitter chats, marketers can drastically boost the overall reach of their brand. But don’t worry if you haven’t participated in any Twitter chats before. 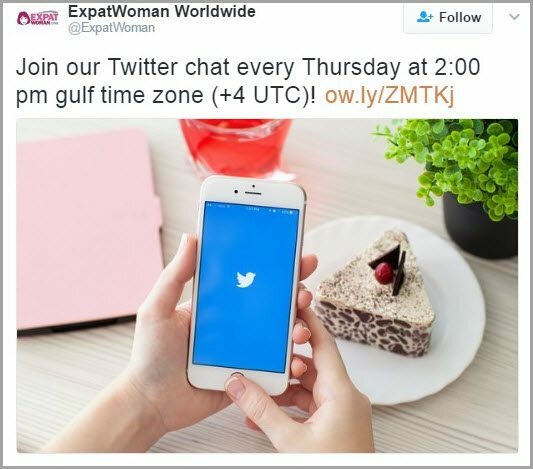 In this post, I’ll advise you how to host, join or participate in Twitter chats like a pro. Before simply jumping into a Twitter chat, take a second to sit back and observe what’s going on to make the most of it. Think of it as a relationship. Take it slow. 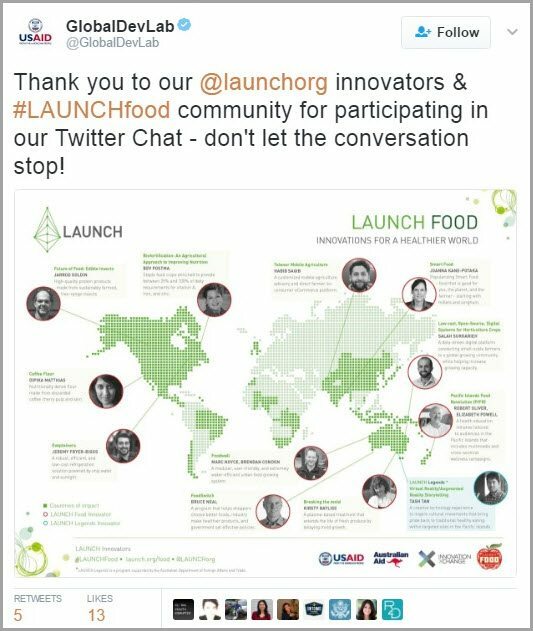 Start by identifying upcoming or ongoing Twitter chats that are related to your industry or niche. Make a list and prioritize those that will give you more exposure as a brand. Take advantage of platforms like Twubs, Chat Salad and The Chat Diary to keep up with which chats are taking place on any given day. These platforms will put the hard yards into finding relevant Twitter chats for you. They will find them and then alert you about them shortly before they kick off so that you can then decide if you wish to take part. Alternatively, the Twitter advanced search option can help you look for not just people or tweets, but upcoming chats as well. 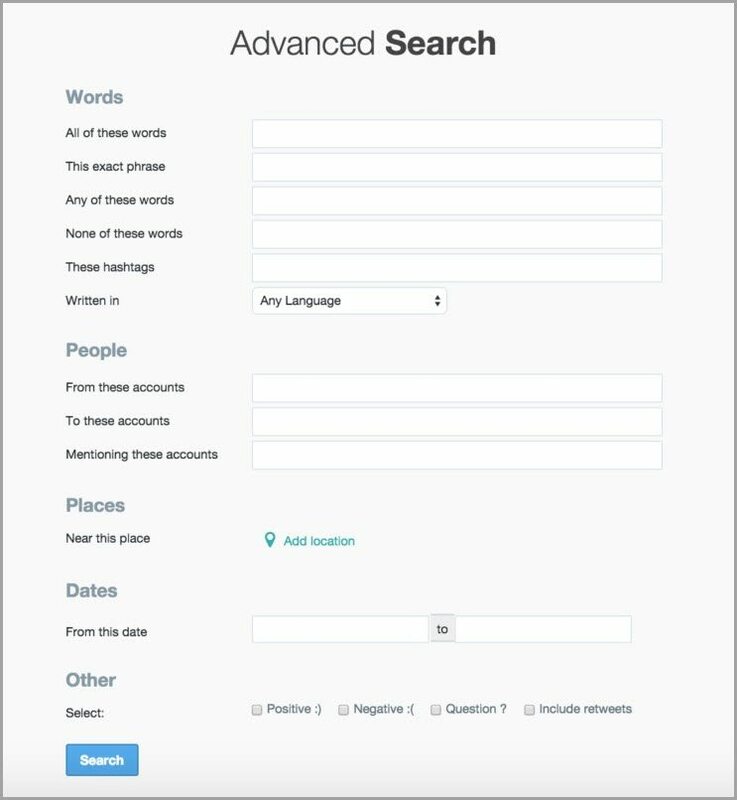 In the ‘words’ section of the advanced search feature, you can provide phrases like ‘tweetchat’, ‘Twitter chat’, etc. Additionally, you can provide keywords that are related to your industry. Furthermore, in the ‘people’ section, you can look for tweets that belong to a certain account. This will help you identify upcoming chats in no time. Next, spend a bit of time observing people interacting with each other in the chat to get familiar with the other participants. There will be a few individuals that stand out during the chat. It is always constructive to follow key participants (as long as they stand out for the right reasons!). You can always retweet their content or show your support while interacting with them. Be mindful that while Twitter chats are not the place to promote your business or brand directly, your Twitter profile should be up to date and ready to impress. Pin a tweet to the top of your page about your business or brand. Needless to say, your profile needs to create a strong impression, so make sure your bio reads well and profile image is up to date. Now that you are all prepped up, it’s time to start actively participating in your Twitter chat of choice. No one starts a Twitter chat out of the blue. 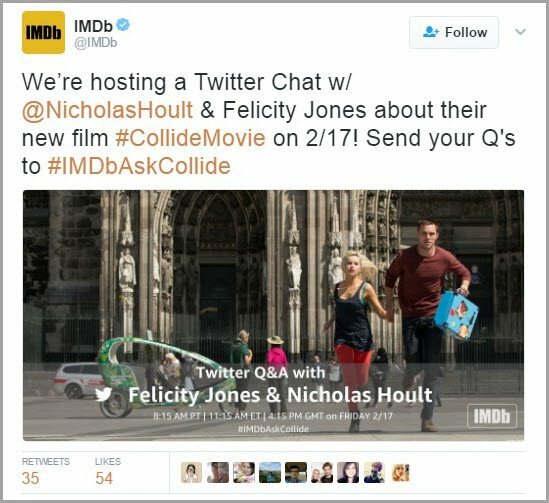 Most of the hosts (or company accounts) inform their audience about their chat at least a week or two before the designated date. You can use this pre-chat time as an opportunity to interact with the hosts about their aims and agenda. They will certainly appreciate your interest and you won’t be a stranger once the chat begins. During the chat, you should make an effort to get to know other participants. If it’s a Q&A session, then you can come up with some thoughtful questions for the guests. Alternatively, if it is an open discussion, then you can casually interact with other participants. Always use a participant’s handle when you’re in one-on-one communication. Be open to new ideas, and try not to say anything that could be construed as rude or offensive. Maintain a neutral tone and try to stay on topic. Provide factual content: often, people make the rookie mistake of simply putting their subjective opinion out there without providing any facts to back it up. Don’t be vague – provide well-researched evidence to support your point of view. 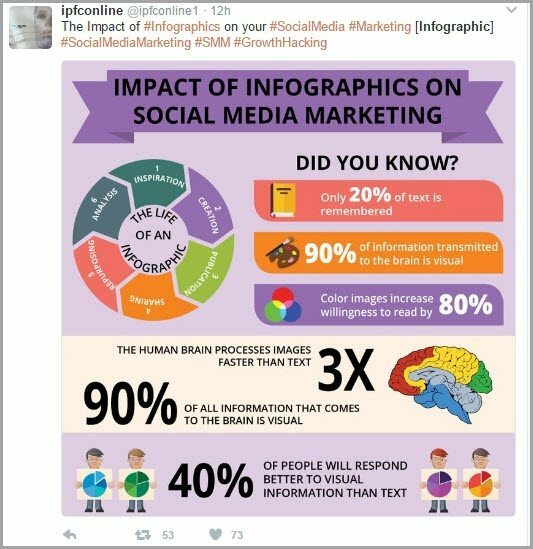 You can also use infographics or other visual aids with your tweets. If appropriate, you can always provide your own resources or blog URLs to strengthen your content. It will help other participants gain new information regarding the subject and help you create a lasting impression on others. 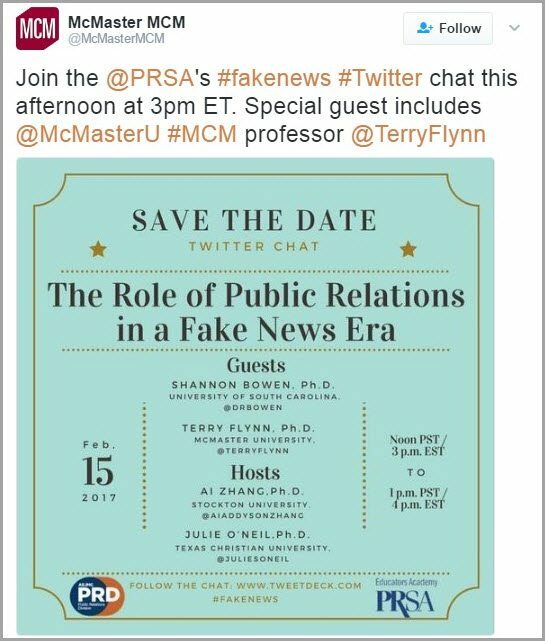 Note down the names of key influencers during the chat. After getting to know them, you can set up a Twitter list to keep in touch with these key participants. Sometimes people think that the conversation is over as soon as the Twitter chat ends, but you shouldn’t let all those new contacts get away! When the chat ends, congratulate the host and the organizers for a great chat or event, and scan back through the chat to check out any tools, resources and points you may have missed. When it comes to social media, a single ‘like’ or ‘retweet’ can go a long way. The organizers will appreciate your support and probably keep you posted about other upcoming events. After you’ve participated in a few Twitter chats, you can step it up a bit and host a chat as well. While joining a Twitter chat can help you meet new people with similar interests, hosting a successful chat can significantly boost your brand image on social media. Come up with a topic after doing a bit of research into emerging industry trends. Pick either a futuristic subject or one that is currently creating headlines. It will attract more participants and boost the overall impact of your chat. After you come up with a topic, check that it hasn’t already been the focus of a Twitter chat. There is no point in choosing a topic where the debate has been done and dusted. Next, create your own hashtag for your Twitter chat. Picking the right hashtag can be tricky – try to make it short (since it will be appended to every tweet), clear and simple. Ideally, it will be able to relate back to your business or perhaps even branded to you or your company. You should know your motive behind hosting your chat and your hashtag should reflect this. Consider this advice on how to use hashtags on social media to come up with a meaningful one. Since you’ve already participated in a few Twitter chats, you should have a pretty decent idea of who you want to invite to your chat. Before coming up with the date and time of your chat, speak to a few influential people and check their availability. Be patient and give it time if they take a while to get back to you. Having experts on your Twitter chat can do wonders to boost its reach to a whole new level. Something to note in terms of timing is that Twitter engagement for brands is usually higher on weekends. That said, there are times when people prefer having a chat on weekdays as well. Most of the time, Wednesdays and Fridays are considered ideal. Also, keep your time zone in mind when designating a time. Ideally, you should mention your time zone to avoid any confusion. Tweet about your chat to generate buzz at least 2-3 weeks before it occurs and let others know about the topic, hashtag, time and so forth. Ask your friends and followers to share it, and cross-promote the invitation across Facebook and Instagram. To attract more participants, you can also use visual aids to make your tweets more interesting. Make sure your images go well with the overall tone of your brand and the topic, and use GIFs if appropriate to grab your audience’s attention. A day or two before the chat, you’ll need to go over everything to make sure you’re ready to rock ‘n roll. This means not just anticipating what questions or perspectives you may encounter, but knowing how you plan to moderate discussion, especially if things go awry. Feel free to set house rules to help the participants and the guests interact successfully with each other. Keep your resources, links and data ready. This will help you save time during the chat. Lastly, pick a social media listening tool like Socialert to help you measure your hashtag’s reach, impact and influence. Storify is a straightforward, effective way to create a recap of each chat. As a host, it is your duty to wrap up the chat in a thoughtful way, and thank all the guests and participants for being there. You should never conclude the chat in a bittersweet manner. Be a responsible host by saying the last word or creating a compelling story via Twitter Moments about the concluded Twitter chat. Additionally, you can write a blog post about it and tweet it to your audience. Feel free to let others know what they missed out on and why they should participate in your next Twitter chat. The number one thing to remember in joining, participating in or hosting Twitter chats is that it’s not the right forum to shamelessly promote yourself or your brand. The goal of all Twitter chats is to spread useful information regarding the designated topic and increase engagement between like-minded people. They’re not the place for a hard sell, but when used strategically, can definitely elevate your digital marketing game to a whole new level. 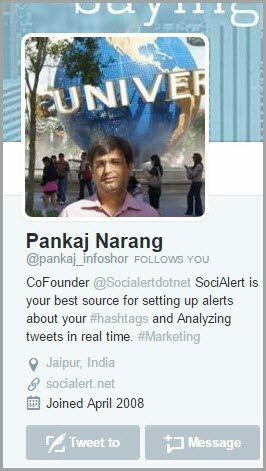 Guest Author: Along with social media marketing Pankaj Narang is determined to shape his ideas into perfect products. CoFounder of Socialert, he believes in coming up with engaging tools to redefine the face of social media marketing. You can check his blog here. 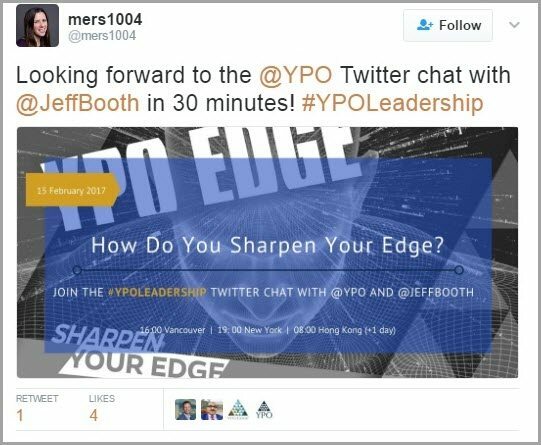 The post How to Join, Participate In and Host Twitter Chats Like A Pro appeared first on Jeffbullas’s Blog.